One Lourdes Dormitel, situated in Iloilo City Proper, caters to travelers on a budget and long term guests. This small hostel offers decent rooms at great value considering the affordable rates. It is a good choice if you are looking for a cheap yet friendly place to crash for the night or for longer stays in the city. One Lourdes Dormitel is located on the corner of Fuentes and Ledesma Streets. It is near Robinsons Place Iloilo (mall) and Colegio de las Hijas de Jesus (school). It can be easily reached by taxi or jeepney and is a good base to explore the city and nearby towns. One Lourdes Dormitel stands one block away from the Iloilo Terminal Market, where Southern Iloilo-bound jeepneys are stationed. 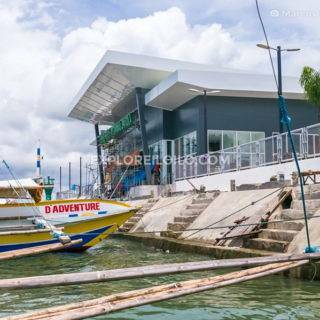 The Iloilo-Jordan, Guimaras Ferry Terminals, Iloilo-Bacolod Ferry Terminal and Iloilo Domestic Seaport are within a 5 to10 minute ride. View all places to stay in Iloilo. Discover more blogs and travel tips in Iloilo City Proper. Explore Iloilo is a destination guide about travel and exciting developments in Iloilo and Western Visayas. ExploreIloilo.com — Explore the best of Iloilo & beyond. Learn more About Us.